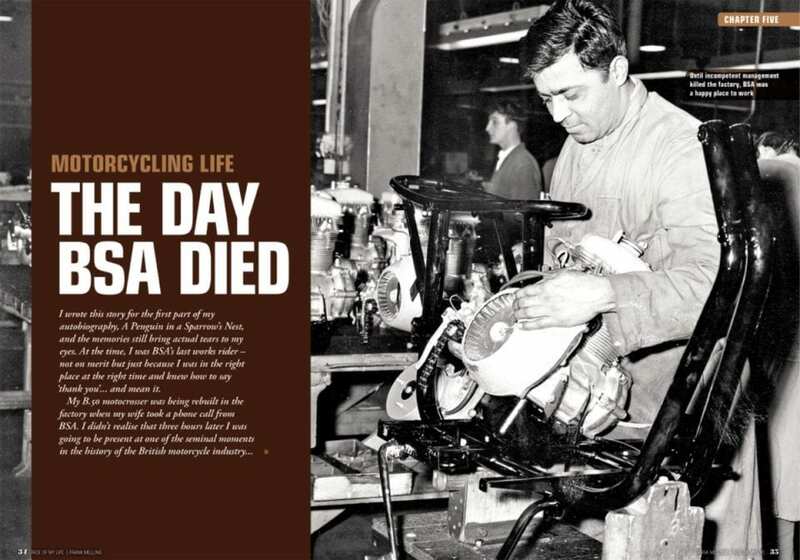 Fans of Frank Melling’s autobiographical ‘Penguin’ books will be thrilled to discover that a new publication from the biking world’s international man of mystery has just been published. 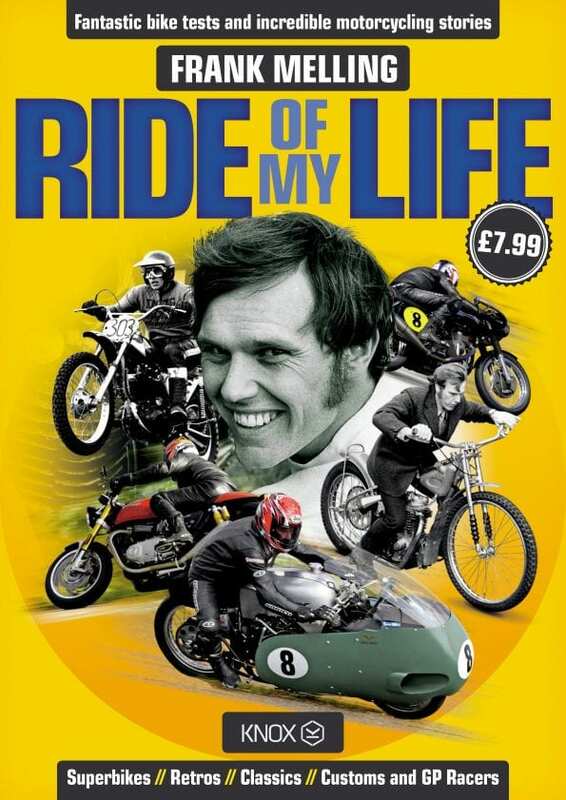 ‘Ride Of My Life’ is an action-packed, glossy A4 bookazine which runs to 132 pages. You’ll find it in bigger newsagents, or it’s available online or from 01507 529529. 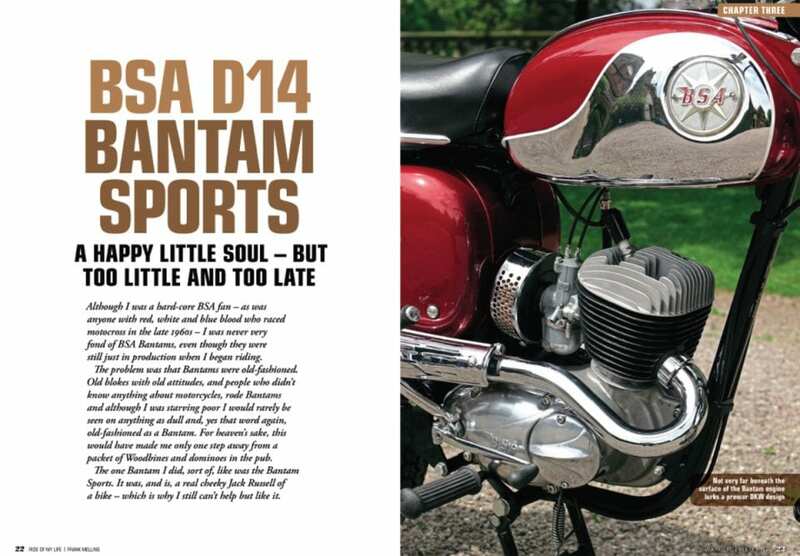 Chapters alternate between memorable motorcycles which Mr Melling has encountered during his hundred-year* riding career and episodes from his motorcycling life. 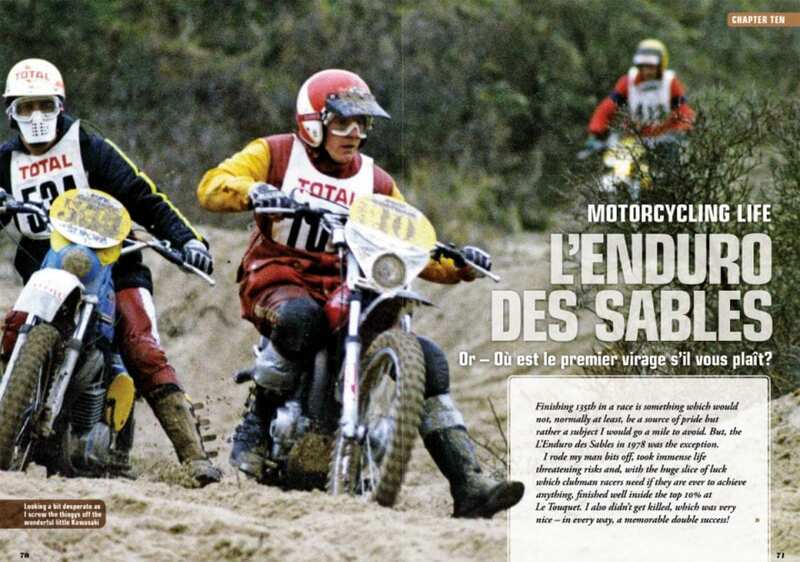 So you can read Frank’s views on the BSA Rocket 3, BMW’s R90S, Bantam Sports, Suzuki RE-5, Honda 400/4 and Kawasaki’s Big Zed; join him for a visit to the Moto Guzzi museum at Mandello del Lario, or ride off-road in the l’enduro des sables, and then recall the bitter day when BSA died. 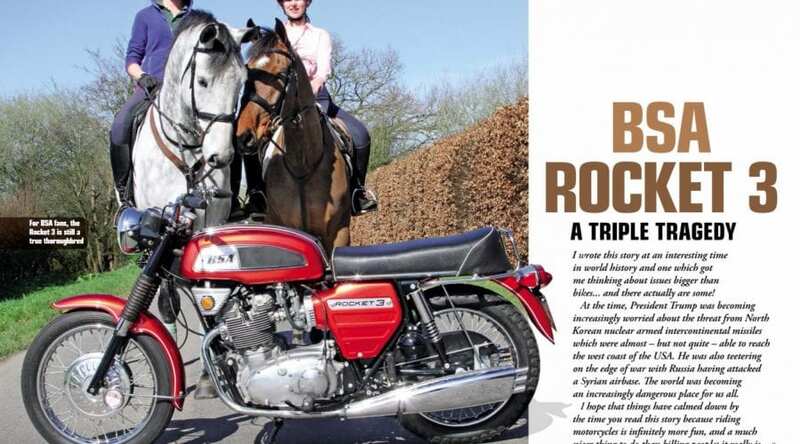 Frank shares his experiences aboard some unique racing motorcycles, too, so get ready for a lap with the 1907 TT-winning Norton and the amazing Moto Guzzi V8, and join Frank aboard his very own Manx Norton. 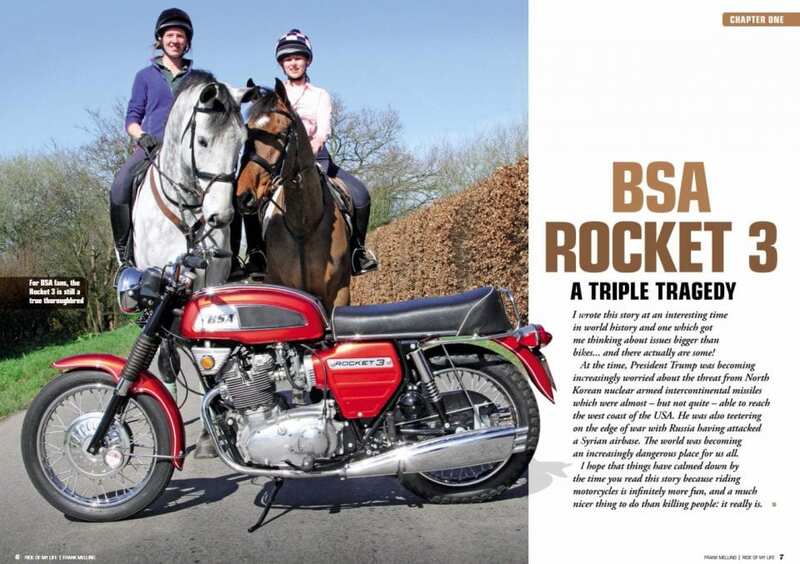 The fun doesn’t stop in 1970-something – modern machines like the Bonneville Thruxton, Honda DN01 and Ducati Sport Classic get revved up as well. We should probably mention that if you’re an avid fan of Mr Melling’s writings then you may well have read some of these episodes before, either in his Penguin publications or other magazines. But this is the first time they’ve been collated together into one splendidly presented volume – yours for a mere £7.99 including UK delivery. It’s even available in a digital edition! 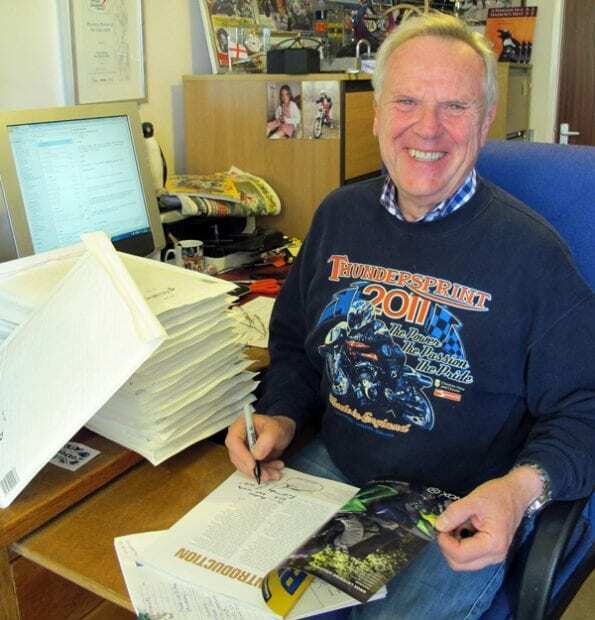 Alternatively, look out for Frank Melling at the Stafford Show in October – he’ll have a stand on the balcony above the main hall (mere spitting distance for the RC Crew, in fact) where you can buy ‘Ride Of My Life’ and he’ll even sign and personally dedicate it for you. Enjoy more RealClassic reading in the monthly magazine. Click here to subscribe.